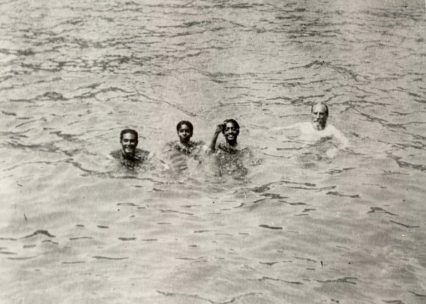 “CWL and Dr. Besant were corresponding about the older boy, K. By then they had taken the boys to the Master and the Master apparently, according to them, said, ‘That is the boy.’ They had received, they said, instructions from their respective Masters that K was going to be the vehicle for the World Teacher. And so Leadbeater, CWL, took charge of training these two boys. 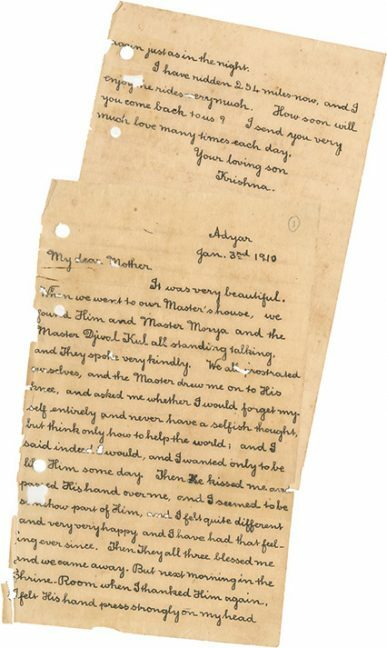 At age 15 Krishnamurti wrote a letter to Annie Besant describing meeting the Masters. 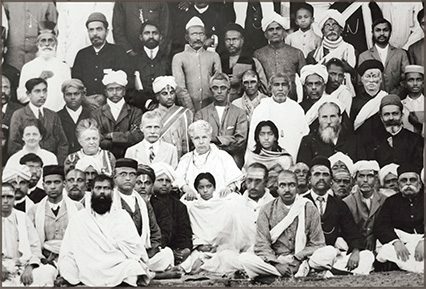 Theosophy was a world movement which embraced all religions. 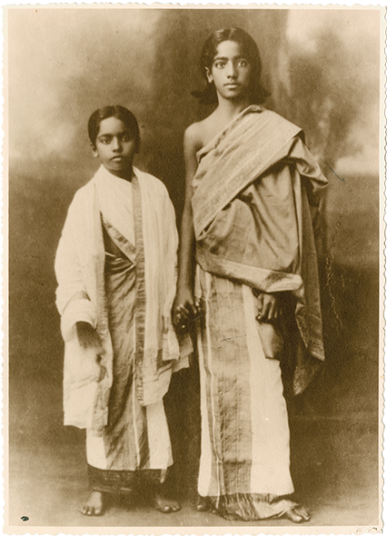 They believed that following on Buddha, Krishna and Christ the world was ready for the next incarnation of the Messiah. 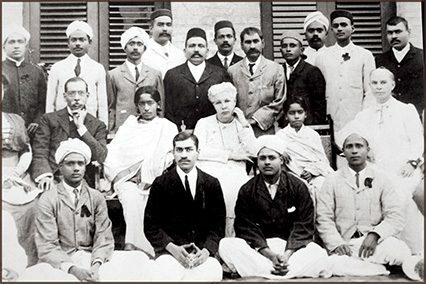 Its president, Annie Besant was a flamboyant figure who fought uncompromisingly for a whole range of social reforms in Britain and India. 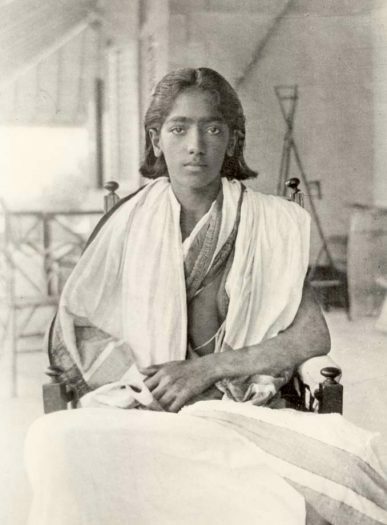 Krishnamurti must have looked an unlikely candidate; undernourished, with crooked teeth and a vacant expression. 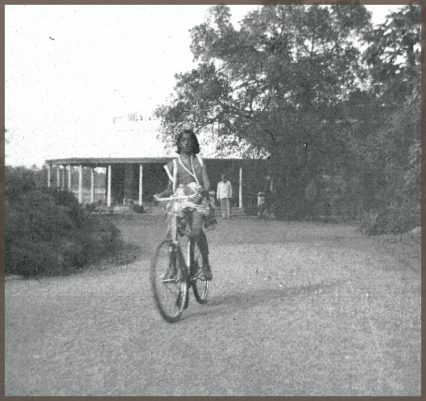 But Leadbeater said the child had an aura of unselfishness; he was the chosen one. 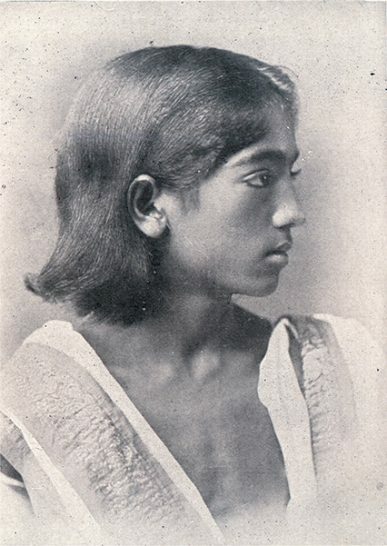 Mrs Besant adopted him and began grooming him for his future role by bringing him to England. 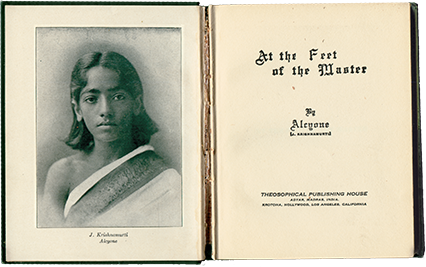 The book At the Feet of the Master, purportedly the teachings given to Krishnamurti by his Master, was published in 1910. 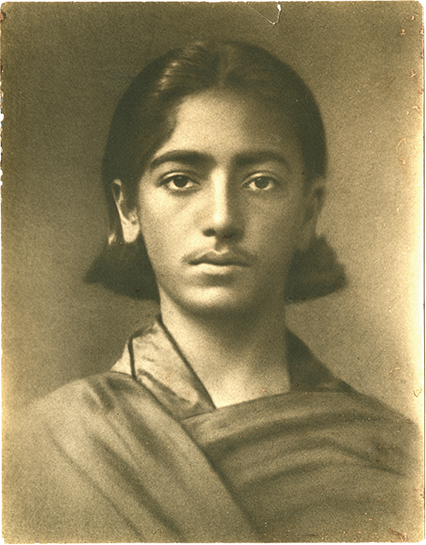 Although many doubt that Krishnamurti was the actual author, the book, translated into some forty languages, elicited great interest and continues to do so. 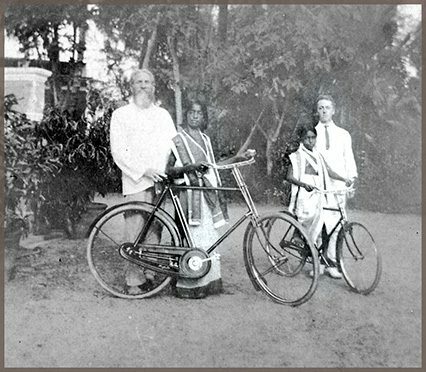 “I have written in my earlier writing an account of his initiation and of the meeting with the Master and so on which were all told me by Mr. Leadbeater and by Krishnamurti himself. “Suddenly, unexpectedly, a benediction descended upon us, like a gentle rain. We became the center of it. It was gentle, pressing, infinitely tender and peaceful, enfolding us in a power that was beyond all fault and reason. No virtue touched it for it was beyond all virtue and sanctions of man.